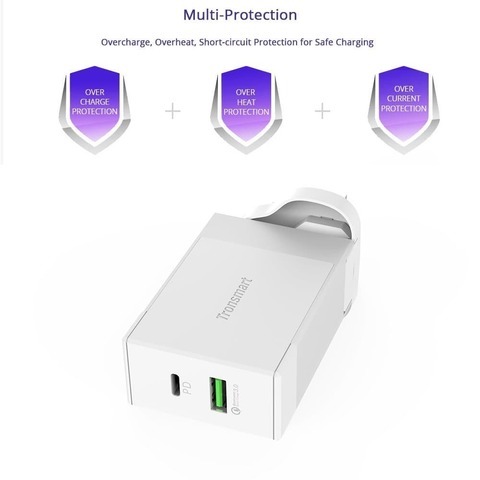 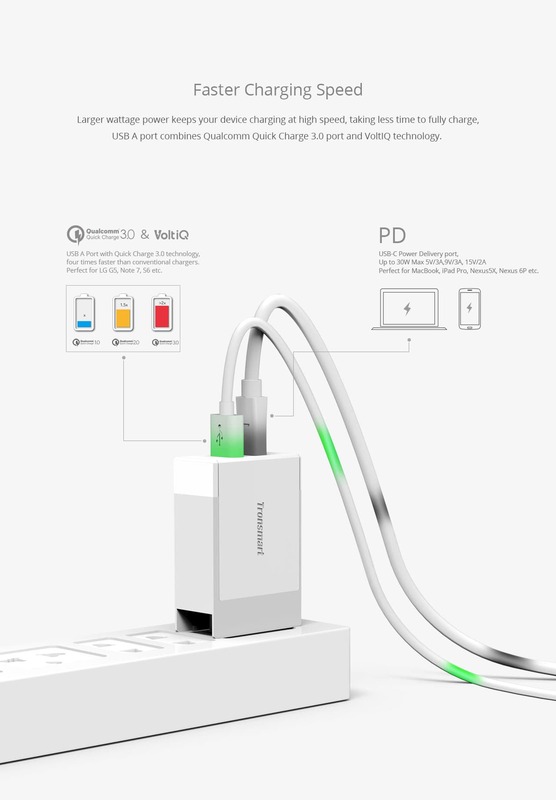 USB PD Type-C Charger - USB-C Power Delivery port, output 30W (5V/3A, 9V/3A, 15V/2A), charges MacBook (2016 model) at full speed. 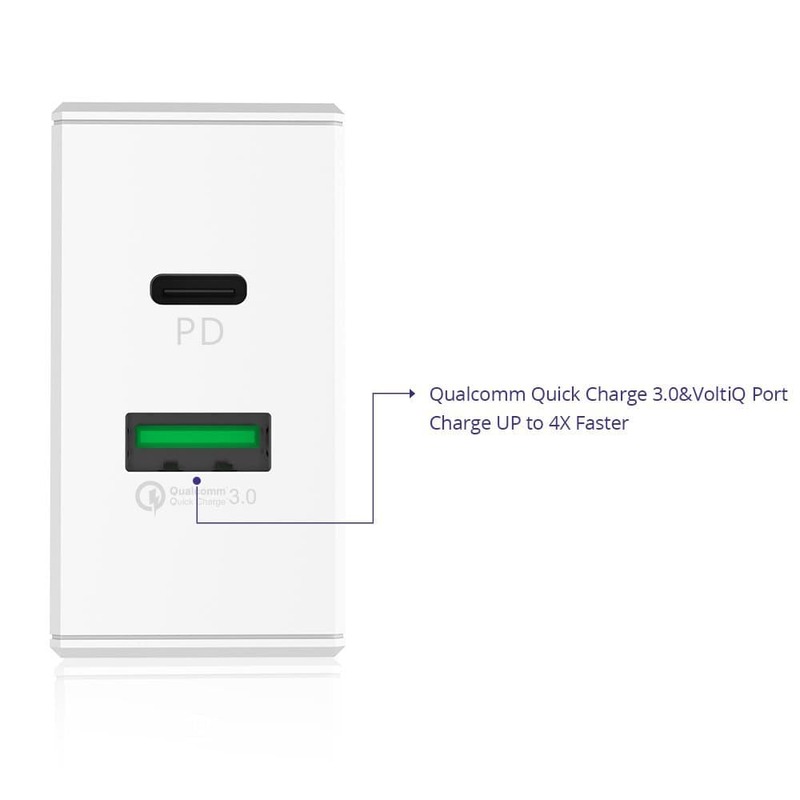 1x USB A port(Qualcomm Quick Charge 3.0 with VoltiQ technology - Total output of 18W max. 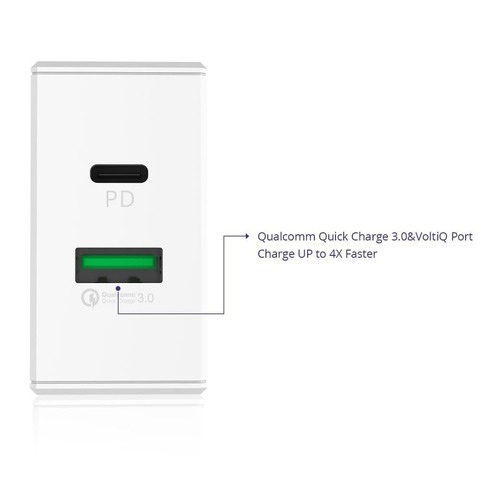 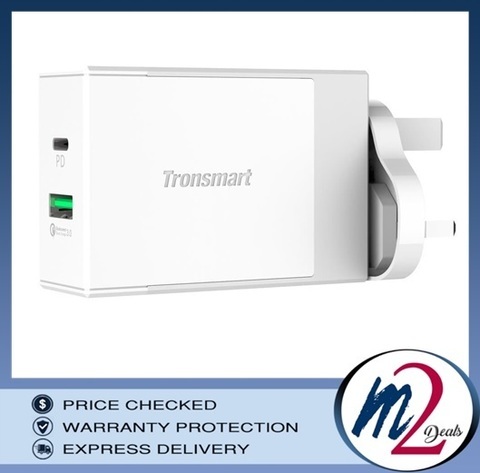 Qualcomm Quick Charge circuit and VoltiQ circuit inside to identify the power level required for charging each connected, making it the best choice for Qualcomm Quick Charge devices like LG G5 and non-Quick Charge devices like iPhone. 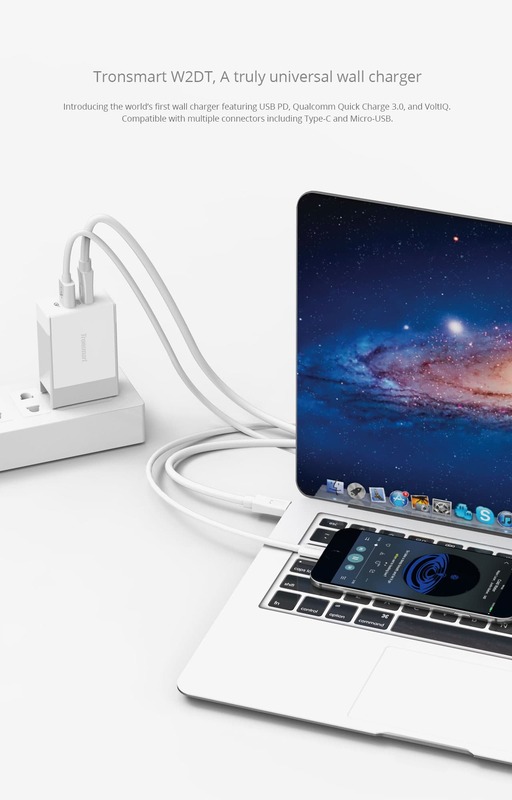 Compatibility - USB-C port is compatible with all USB-C devices supporting the USB PD Power Standard, such as the MacBook (2016 Model), iPad Pro, Nexus 5X, Nexus 6P, Lumia950XL, LG G5, Meizu Pro5,Google Pixel/Pixel XL and many others. Faster Charging - USB-C Power Delivery port offers 30W of total power. 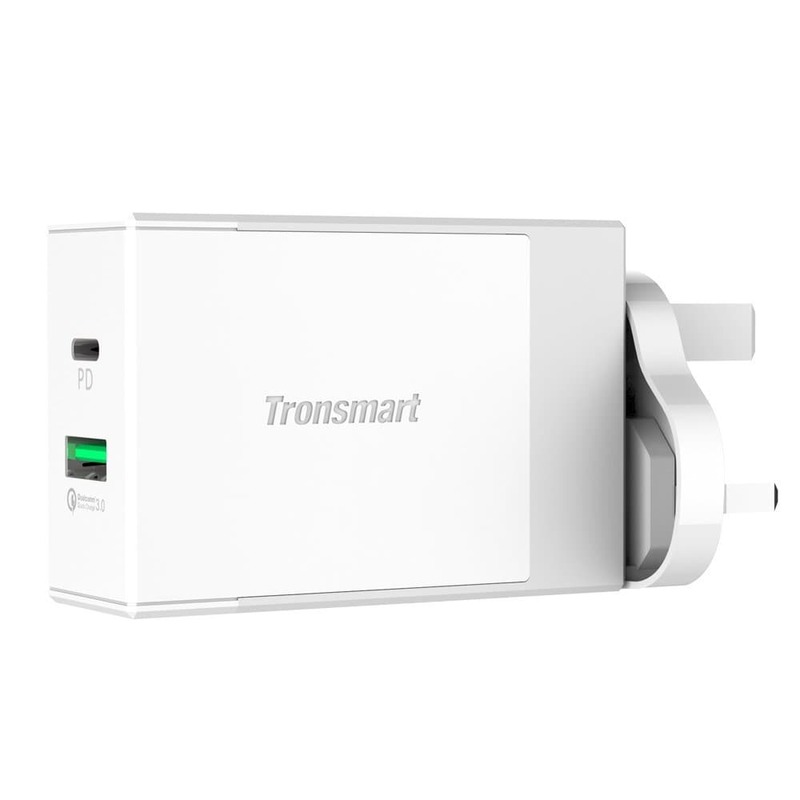 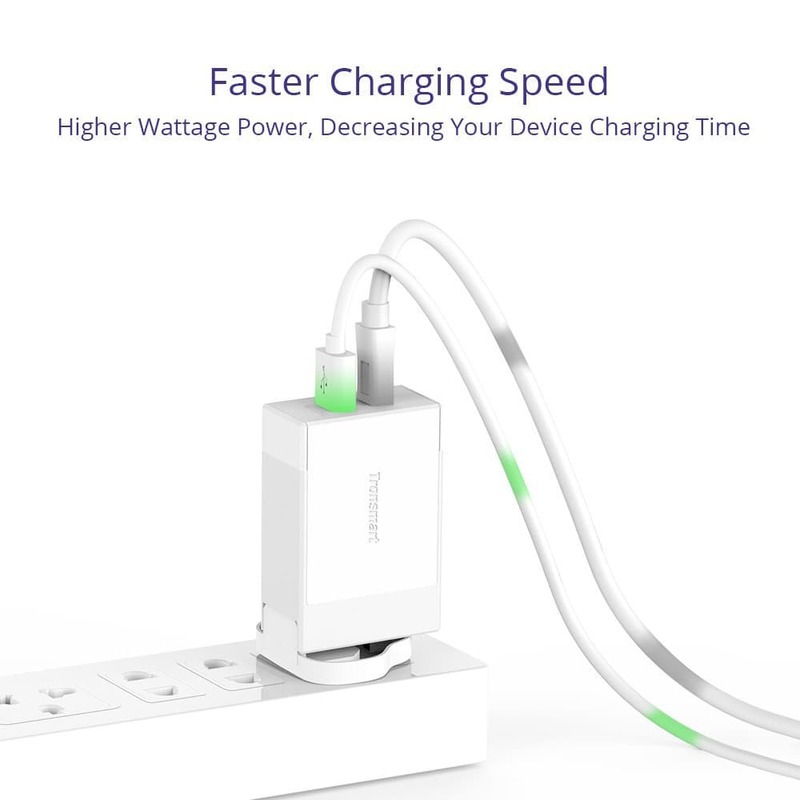 Larger wattage power keeps your device charging at high speed, taking less time to fully charge.